The centenary of the Great War is now in its second year. After highly publicized ceremonies to commemorate the assassination of Archduke Franz Ferdinand in Sarajevo and the resulting lead up to and outbreak of war, remembrances have been much fewer. There has been an uptick of late with the 100th anniversary of the Gallipoli Campaign and the Armenian Genocide, but by and large commemorative events are no longer front and center in the media’s or public’s consciousness. To be sure 2016 will be host to major ceremonies that commemorate the centennials of the Battles at Verdun and the Somme. Conversely, the current year 2015, lacks many signature events. Look a bit closer though and a century ago, in May 1915, a landmark offensive took place. The centennial of that event offers an opportunity to reflect on both the most successful advance and greatest retreat of the war. The offensive occurred on the often overlooked Eastern Front, between the Galician cities of Gorlice and Tarnow. These localities proscribed the boundaries of a stunningly successful attack, that exploded and expanded from a narrow start into an offensive the likes of which would never be seen again in the war. 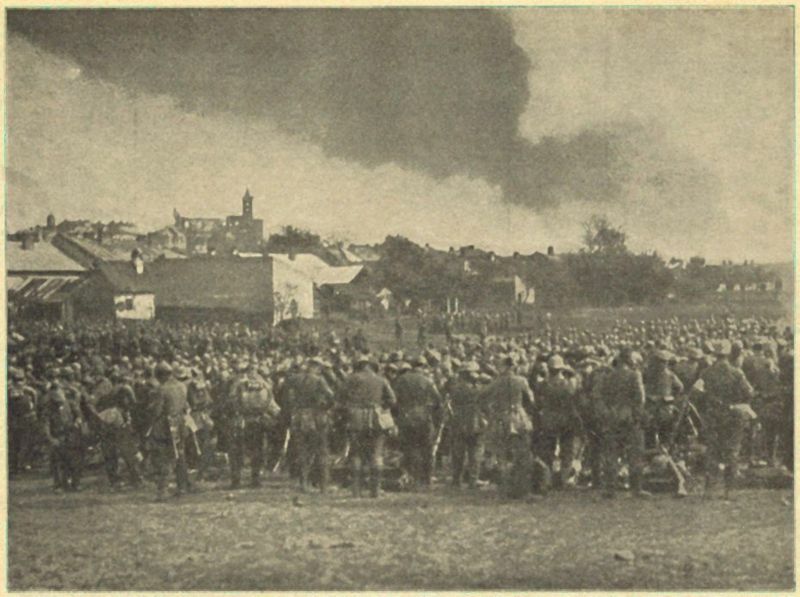 The consequences of the Gorlice-Tarnow campaign were long lasting and led to an event that would change the war forever. The fact of the matter is that Gorlice-Tarnow was an unmatched achievement. Yet the gulf between knowledge of the war and the offensive’s shattering ramifications are huge. 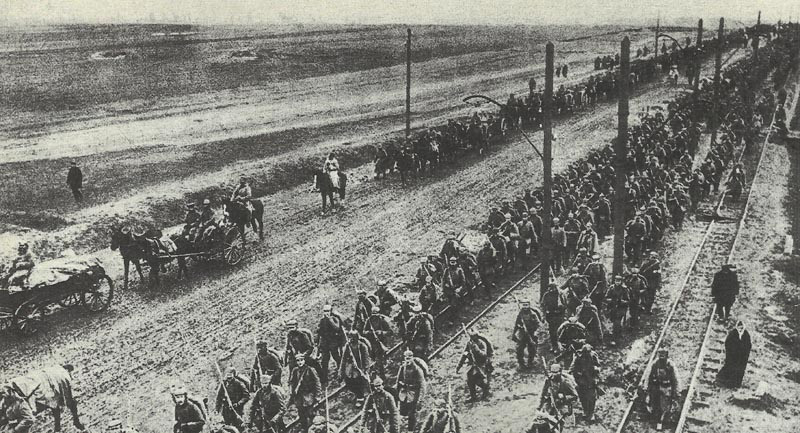 Of course, the Eastern Front of World War I is scarcely studied by English language historians. Places such as Gorlice and Tarnow seem to belong to another world. Perhaps it is the size of the front that swallows all attempts to comprehend it. Language is a strikingly difficult barrier for even the most gifted of historians to overcome. Then there is the fact that the three empires involved: the German, Austro-Hungarian and Russian all ceased to exist by the end of the war. Despite such obstacles to historical knowledge, the offensive was a landmark at the time and still stands out today. 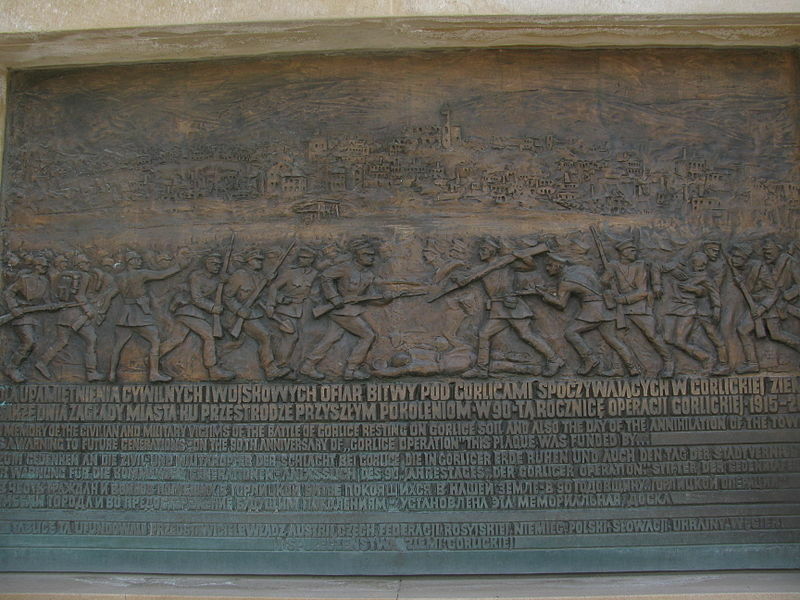 The name given to the offensive comes from the city of Tarnow and the town of Gorlice. The war did Gorlice no favors as it was utterly destroyed in battle and would later have to be rebuilt. The main thrust of attack came in the area between these two locales. It was delivered by the German 11th Army with help from the Austro-Hungarian 3rd and 4th Armies. The German 11th Army was created prior to the offensive. It was a fine example of the German High Command’s ability to improvise in order to provide the troops needed to carry out operations. The soldiers used to create the 11th Army were taken from existing Western Front regiments and supplemented with new recruits. Though the Germans and Austro-Hungarians were greatly outnumbered by Russian forces, the Gorlice-Tarnow Offensive mitigated these factors with a high degree of innovation. The German and Austro-Hungarian commanders selected an area of weakness to attack, the Russian 3rd Army. These Russian troops were largely illiterate, ill-equipped and incompetently led. This was an army made up primarily of peasants, tough, sturdy and totally helpless when confronted by industrial weaponry on the field of battle. Many were raw recruits, lucky to even have a full uniform. Tens of thousands did not carry rifles, simply because they had not been given one. At this point in the war, for every four recruits there was one rifle being produced by the Russian war effort. The only option was for soldiers to take a rifle from one of their dead or wounded comrades in the midst of battle. Then there was the Russian trench system along this part of the front. These were little more than rifle pits. If this was not bad enough, the attackers had a tremendous advantage in artillery. According to historian Hew Strachan, “The Central Powers collected 334 heavy guns to 4 Russian, 1,272 guns to 675 and 96 trench mortars to none…the densest concentration of the war so far: one heavy gun every 132 yards and one field gun every 45 yards.” The result would be a massacre, quickly followed by breakthrough and breakout. This entry was posted in Eastern Front of World War I and tagged august von mackensen, austria-hungary eastern front world war 1, eastern front world war 1, galicia, german army eastern front world war 1, gorlice poland, Gorlice-Tarnow Campaign, gorlice-tarnow offensive, hans von seeckt, russian army eastern front world war 1, tarnow poland by fortchoteau1. Bookmark the permalink.